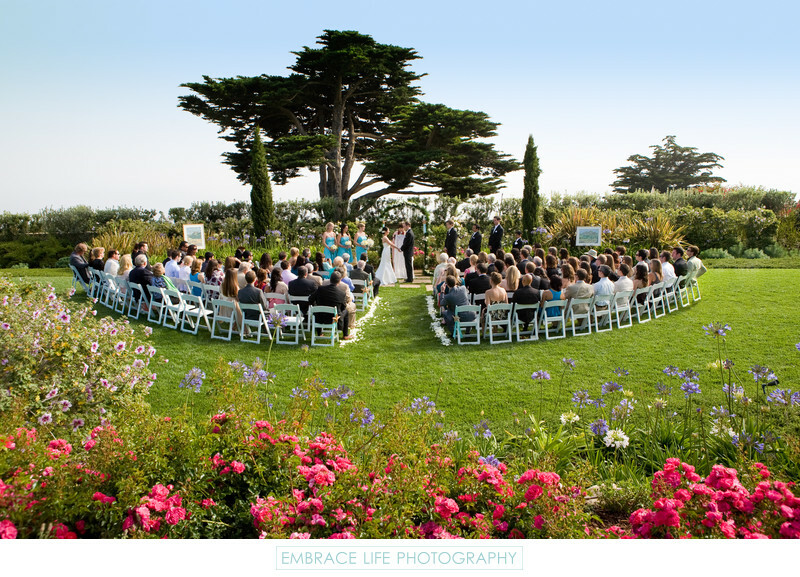 A colorful Hope Ranch wedding ceremony in Santa Barbara, California at a private estate near the beach. Photographed behind pink and purple flowers, rows of wedding guests, the white flower petal lined aisle leads to the bride and groom exchanging their wedding vows in front of a background of beautiful cypress trees and a clear blue sky as the groomsmen and bridesmaids, in blue dresses and white bouquets look on. Location: Hope Ranch, Santa Barbara, CA.